MOMIX, a troupe of daring dance illusionists under the direction of Moses Pendleton, brings its latest mix of multi-media magic. 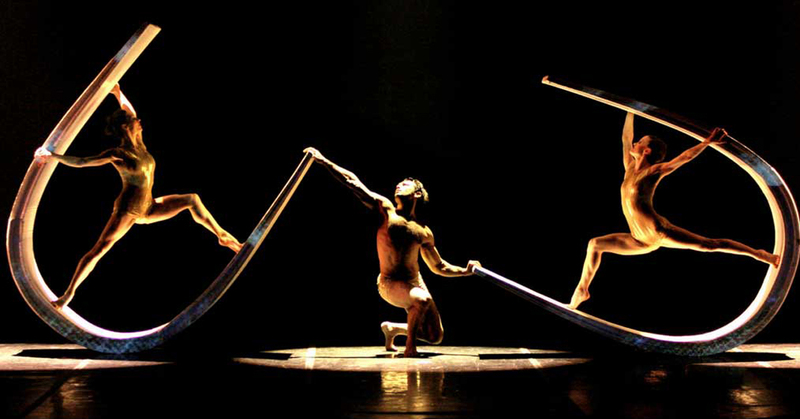 Known for presenting works of astounding beauty, and exceptional invention, MOMIX productions combine the wonders of the human form, nature, music and life, using spectacular lighting effects, outrageous costumes, and unbelievable props to enchant audiences of all ages. The program features MOMIX’s best hits plus three Philadelphia premieres: Daddy Long Leg, Light Reigns and Paper View. Paper View is a visual phantasm that melds projections, words, and movements in ways that cannot be imagined!